Would you make a good paramedic? Take our career test to find out how you match with this and over 800 other careers. What is the workplace of a Paramedic like? Paramedics and emergency medical technicians (EMTs) care for the sick or injured in emergency medical settings. People’s lives often depend on their quick reaction and competent care. They respond to emergency calls, performing medical services and transporting patients to medical facilities. They work both indoors and outdoors, in all types of weather. Their work is physically strenuous and can be stressful, sometimes involving life-or-death situations. 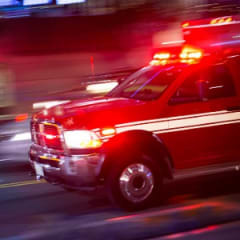 If a patient has a contagious disease, paramedics and EMTs decontaminate the interior of the ambulance and may need to report these cases to the proper authorities. When taking a patient to the hospital, one EMT or paramedic may drive the ambulance while the other monitors the patient's vital signs and gives additional care. Some work as part of a helicopter's flight crew to transport critically ill or injured patients to a hospital. Some patients may just need to be transferred to a hospital that specializes in treating their injury or illness or to a facility that provides long-term care, such as a nursing home. Paramedics and EMTs are often asked to do this. Paramedics generally provide more extensive pre-hospital care than do EMTs. In addition to carrying out the procedures that EMTs use, paramedics can give medications orally and intravenously, interpret electrocardiograms (EKGs)—used to monitor heart function—and use other monitors and complex equipment. An EMT-Basic, also known as an EMT, cares for patients at the scene and while taking patients by ambulance to a hospital. They have the emergency skills to assess a patient's condition and manage respiratory, cardiac, and trauma emergencies. An EMT-Intermediate, also known as Advanced EMT, has completed the training required at the EMT-Basic level, as well as training for more advanced skills, such as the use of intravenous fluids and some medications. Paramedics and EMTs must provide emotional support to patients in an emergency, especially patients who are in life-threatening situations or extreme mental distress. They almost always work on teams and must be able to coordinate their activities closely with others in stressful situations. They need to listen to patients to determine the extent of their injuries or illnesses. They also need to be physically fit. Their job requires a lot of bending, lifting, and kneeling. They need strong problem-solving skills. They must evaluate patients’ symptoms and administer the appropriate treatments. They need to be able to comfort and explain procedures to the patient, give orders, and relay information to others. Are you suited to be a paramedic? Paramedics have distinct personalities. They tend to be social individuals, which means they’re kind, generous, cooperative, patient, caring, helpful, empathetic, tactful, and friendly. They excel at socializing, helping others, and teaching. Some of them are also investigative, meaning they’re intellectual, introspective, and inquisitive. Does this sound like you? Take our free career test to find out if becoming a paramedic is right for you. Paramedics and EMTs work both indoors and outdoors, in all types of weather. Their work is physically strenuous and can be stressful, sometimes involving life-or-death situations and patients who are suffering. Most career EMTs and paramedics work in metropolitan areas. 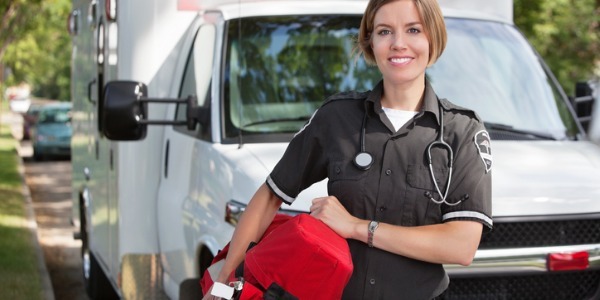 Volunteer EMTs and paramedics are more common in small cities, towns, and rural areas. These individuals volunteer for fire departments, providers of emergency medical services, or hospitals and may respond to only a few calls per month.